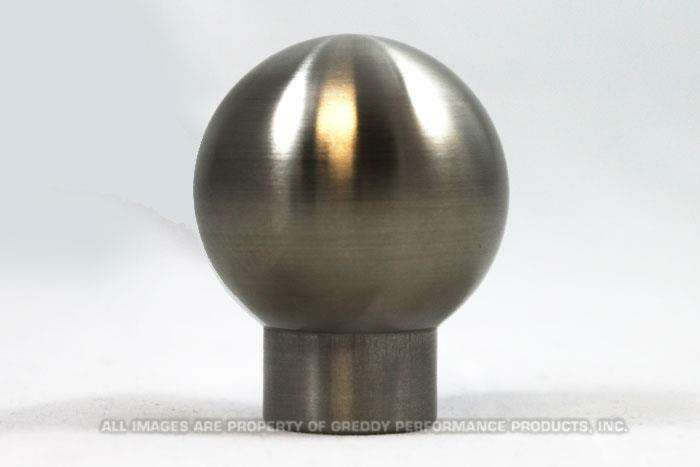 Optimized for ergonomic comfort and weighted for driving feel GReddy 304 stainless steel shift knobs come in two distinct styles and three surface finishes. And all have CNC’d GReddy logo on top. The Sphere shaped ball design measures 45mm in diameter with a 10mm tall, 25mm dia. base. The material, size and shape allows this compact shift knob to weigh 415g (.915lbs) This benefits the driving feel by counter-weighting the shifter.